Boris Johnson, The Mayor of London, needs to tackle the appalling situation that an estimated 30% of the trucks on London’s roads are being driven in an illegally dangerous state or illegally driven. His cycling commissioner, Andrew Gilligan, twisted my fact about Boris targeting cyclists with fines at a rate 8 times higher than the trucks that are killing us, into a stat about all drivers, which is not what I said….. I said the Mayor [Met Police] fined cyclists at a rate 8 times higher than the trucks that were killing us ( 4,000 fines for cyclists – 600 for trucks) – Gilligan attacked me saying I was wrong saying that they fined drivers 71% and Cyclists 29% and stating cyclists were 29% of inner London vehicles (?!!) but note he switched from TRUCKs to DRIVERS!! Also see the story from earlier today, which picked up both the statements from us and the Mayor: click HERE. 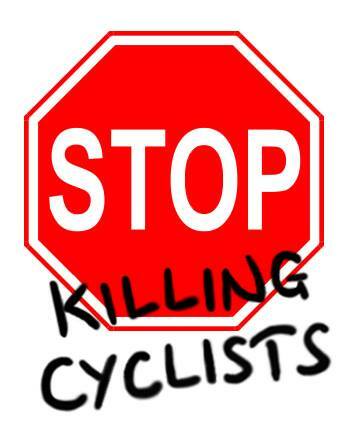 Previous PostPress Release – Stop Killing Cyclists Condemn London Mayor’s Photo Stunt when his Traffic Enforcement Measures are in ChaosNext PostSTUDENTS !! Help Needed! !